Absolutely the finest Ni-Starter brand money can buy. These don't fall off or wear out and fall to peices like the collet type glow ignighters do. Invest in the best to start with and you won't be sorry you did. 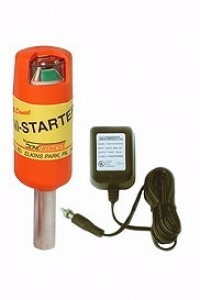 McDaniel NiStarters have always been made under contract by Sonic Tronics. Now, Sonic Tronics owns the brand name and is printing these with the Sonic-Tronics brand name. Exact same McDaniel's quality you have always expected. Tronics owns the brand name and is printing these with the Sonic-Tronics brand name. Exact same McDaniel's quality you have always expected. Stainless steel shaft for long life. The NI-STARTERA® has a 1.5" barrel and is supplied with an UL Approved 110V AC Charger. It locks onto the glow plug. Just push down, rotate, and it's locked onto the glow plug for hands free operation. 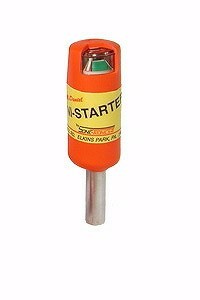 The Metered NI-STARTER has a durable, shock resistant, dual faced amp meter to show the condition of your glow plug. When attached to your glow plug the meter will indicate plug condition, good or failed. This aids in determining the cause of many starting problems. The meter does not indicate the NI-STARTER charge condition. All versions of the NI-STARTERA® carry a 180 day warranty against defects in workmanship or the materials used. We further have an original ownership policy for the NI-STARTERA® beyond the warranty, contact us directly for the details. As above, 2.5" stem, without meter. 3.5" Ni Starter only, Non metered. Absolutely the finest Ni-Starter brand money can buy. These don't fall off or wear out and fall to peices like the collet type glow ignighters do. Invest in the best to start with and you won't be sorry you did. 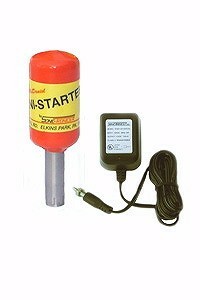 McDaniel NiStarters have always been made under contract by Sonic Tronics. Now, Sonic Tronics owns the brand name and is printing these with the Sonic-Tronics brand name. Exact same McDaniel's quality you have always expected. Absolutely the finest Ni-Starter brand money can buy. These don't fall off or wear out and fall to pieces like the collet type glow ignighters do. Invest in the best to start with and you won't be sorry you did. Sonic Tronics (formerly McDaniel) NiStarters have always been made under contract by Sonic Tronics. Now, Sonic Tronics owns the brand name and is printing these with the Sonic-Tronics brand name. Exact same McDaniel's quality you have always expected. Stainless steel shaft for long life. Medium Length Stem 2.5". Absolutely the finest Ni-Starter brand money can buy. These don't fall off or wear out and fall to peices like the collet type glow ignighters do. Invest in the best to start with and you won't be sorry you did. 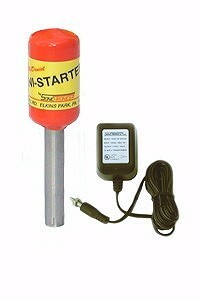 McDaniel NiStarters have always been made under contract by Sonic Tronics. Now, Sonic Tronics owns the brand name and is printing these with the Sonic-Tronics brand name. Exact same McDaniel's quality you have always expected. 3.5" Ni Starter with meter. Absolutely the finest Ni-Starter brand money can buy. These don't fall off or wear out and fall to peices like the collet type glow ignighters do. Invest in the best to start with and you won't be sorry you did. 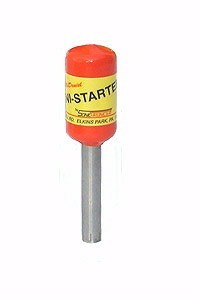 McDaniel NiStarters have always been made under contract by Sonic Tronics. Now, Sonic Tronics owns the brand name and is printing these with the Sonic-Tronics brand name. Exact same McDaniel's quality you have always expected. No meter, as above with 110V charger included. 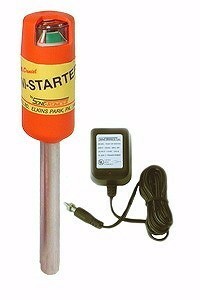 2.5" stem non-metered Ni-Starter as above with 110V charger included. 2.5" Ni Starter with meter and 110V charger. Absolutely the finest Ni-Starter brand money can buy. These don't fall off or wear out and fall to peices like the collet type glow ignighters do. Invest in the best to start with and you won't be sorry you did. 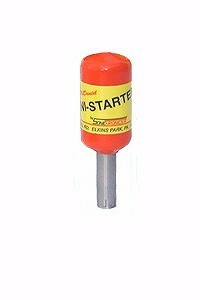 McDaniel NiStarters have always been made under contract by Sonic Tronics. Now, Sonic Tronics owns the brand name and is printing these with the Sonic-Tronics brand name. Exact same McDaniel's quality you have always expected. Slender Glow Starter easily fits in pocket accepts your AA Rechargeable. Easily swap out battery whenever needed. Smaller glow starter fits in pocket easily. Machined aluminum case, fits any normal glow plug. Includes cap. Battery not included.